2016 Perseids over Four Girls Mountain. 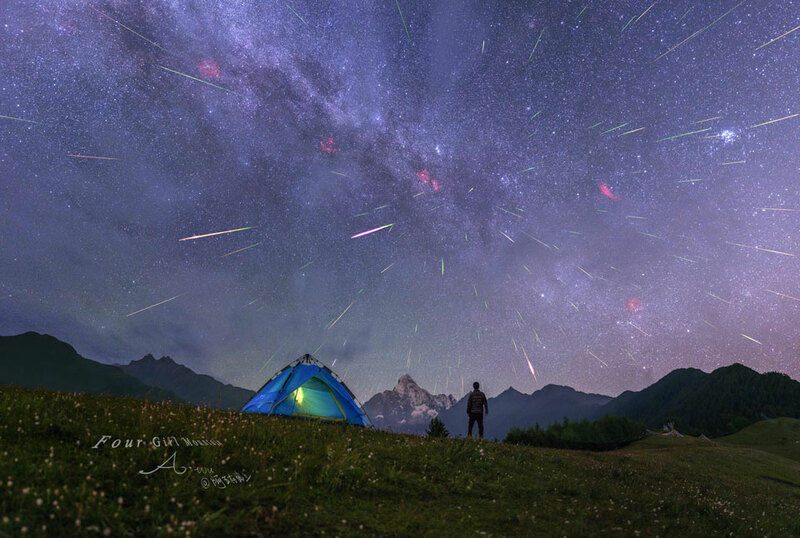 This photo by Alvin Wu captures this year’s Perseid meteor shower over Four Girls Mountain in central China. In the upper right, the Pleiades open star cluster can be spotted. The scattered red spots are various emission nebulae. Although the Geminid meteor shower will peak tonight, it will be difficult to watch considering the full moon.